This is a very cool thing I found recently, It makes iOS 5 Notification Center have an Awesome Transparent look with Blurred Background. This is quite fast and does not lag, at least for me. 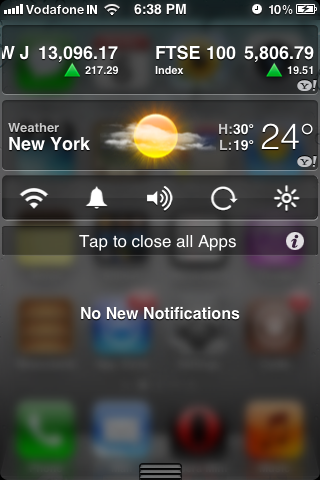 This completely changes the look and you'll get a new like feeling whenever you'll swipe status bar onto the screen. 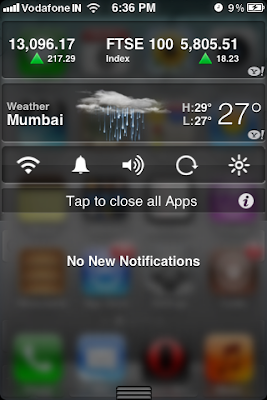 Making your Notification center transparent isn't a Big Deal!! !, If you have a jailbroken iDevice with Cydia, then installing transparent tweak is just a piece of cake. 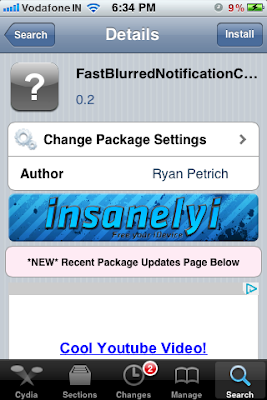 Below you'll find some easy to follow steps for installing Transparent tweak. The Steps are very easy to follow and the process finishes in no time. Follow the below steps and Reboot iDevice after completing the process. 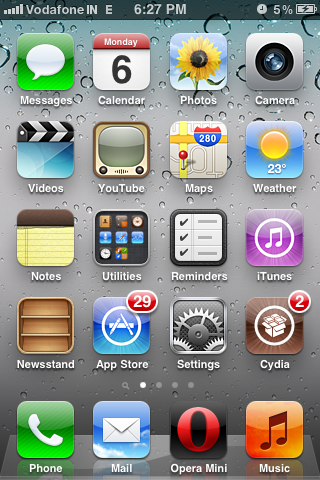 From your iPhone Homescreen, Tap on Cydia icon. Now Tap on Install button and wait until it gets Installed. Now a 'Respring Springboard' button will appear, Tap on it to Respring Homescreen. Wait for lockscreen to come. Now you're ready to swipe down the status bar onto the screen. Now you'll see that your NC has a transparent blurred background. Once you've completed the above steps, you'll be running Transparent blurred Notification center without any problems. 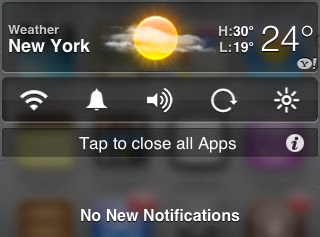 From the above pic of NC, Maybe you'll be wondering that How I got that menu with toggles like Wifi, silent etc. You can also get that, Just search in cydia 'NCSettings' and Install it, then Go to iPhone Settings > Notifications > And Drag NCSettings to NC. Hope you guys like this tutorial, Express your views in the below comment section. I'll try to bring more such articles, Thanks.